The Malaria Eradication Research Agenda (malERA) initiative, funded by a grant from the Bill and Melinda Gates Foundation, is a rigorous scientific consultative process to identify knowledge gaps and new tools that will be needed to eradicate malaria globally. 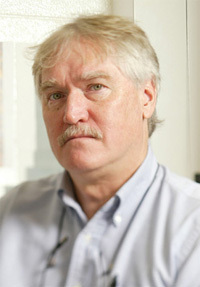 Frank Collins, the George and Winifred Clark Chair in Biological Sciences at the University of Notre Dame, is one of 14 independent scientists on the steering committee who leads the vector control consultative group. PLoS Medicine recently published the recommendations of the Malaria Eradication Research Agenda initiative. In two years, more than 250 of the leading scientists from 36 countries have participated in 20 meetings and developed a research and development agenda. The core of the malERA process was organized around seven consultative groups that bring together experts from diverse scientific and technological areas: 1) drugs; 2) health systems, operational research and diagnostics; 3) integration strategies; 4) modeling; 5) monitoring and evaluation, and surveillance; 6) vaccines and 7) vector control. 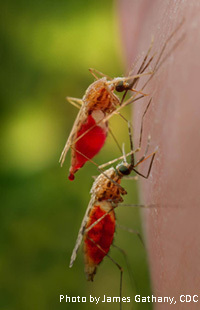 The report concludes, among other things, that eliminating malaria in some areas calls for radical new interventions to attack the mosquitoes that carry the disease, ideally with a strategy such as genetic modification that would have long-term effects. That calls for better understand of the vector’s biology as well as innovative cross-disciplinary technologies to control the mosquitoes, measure transmission and educate communities about vector control. The malERA initiative was created after the re-establishment of malaria eradication as a long-term goal during the Malaria Forum convened by the Bill and Melinda Gates Foundation in October 2007, on the understanding that such a goal will be unachievable without the development of a new generation of tools focused on interrupting transmission. In addition to the steering committee, there is an international advisory committee composed of veterans of eradication and elimination campaigns of both malaria and other diseases, and a leadership council comprised of leaders such as Margaret Chan, director general of the World Health Organization, and Awa Coll-Seck, executive director of the Roll Back Malaria Partnership Board.